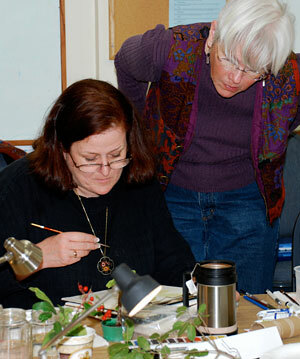 Margaret teaching at the Santa Barbara Botanic Gardens in January. There a few spaces left at Margaret Best’s second class at the magnificent Santa Barbara Botanic Garden. Her first class last January class was filled with a waiting list and was very well received. So … she has been asked to come back. Fee $125.00 for BAGSC and Santa Barbara Botanic Garden members, $145.00 for non-members. If you would like to register for this workshop, you can do so online on the Santa Barbara Botanic Garden’s web site, or by calling (805) 682-4726, ext. 102.